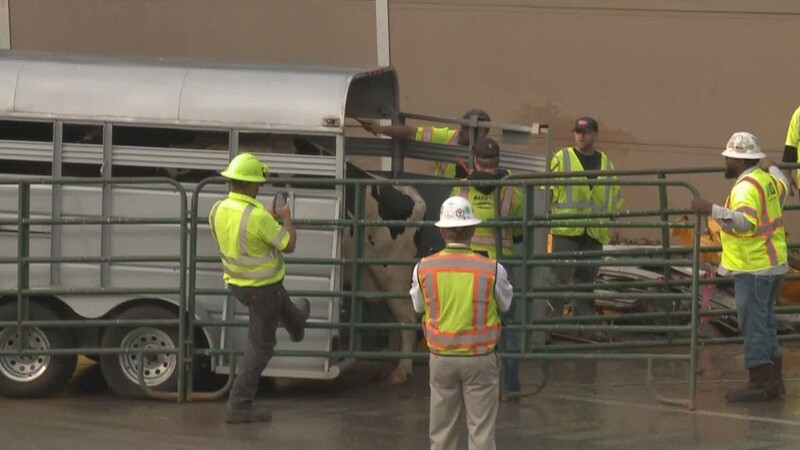 Commuters experienced major delays as responders worked to catch several wayward cows and clear the bodies of others. 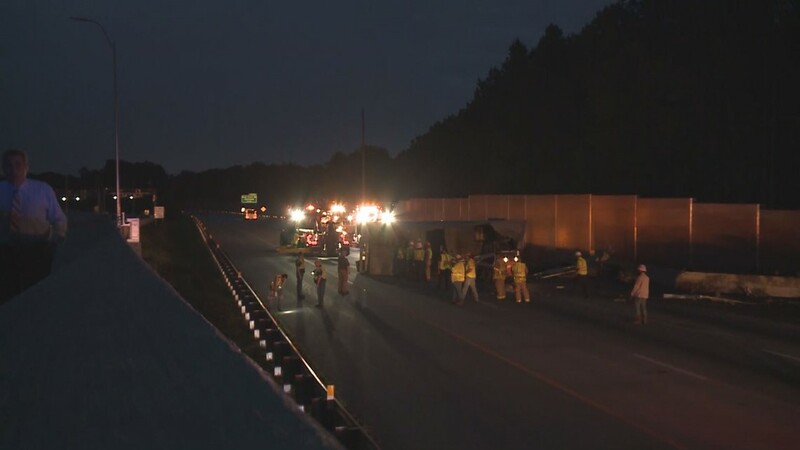 COBB COUNTY, Ga. - A truck that was transporting cattle overturned on southbound I-75 Thursday morning just before Wade Green Road, the Georgia Department of Transportation (GDOT) reported. 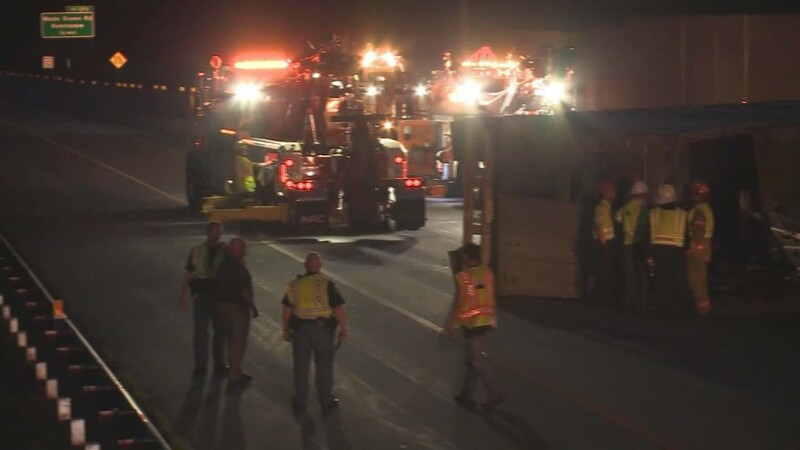 First responders initially confirmed cows on the roadway around 4:49 a.m. following a handful of unusual calls. 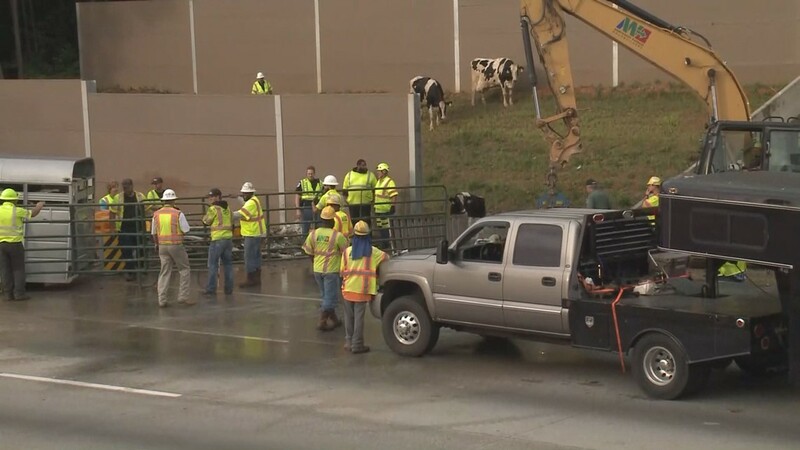 "A tractor-trailer just flipped and there's cows all over the interstate," one caller said. The operator first misunderstood them to say tiles. The caller quickly corrected them. 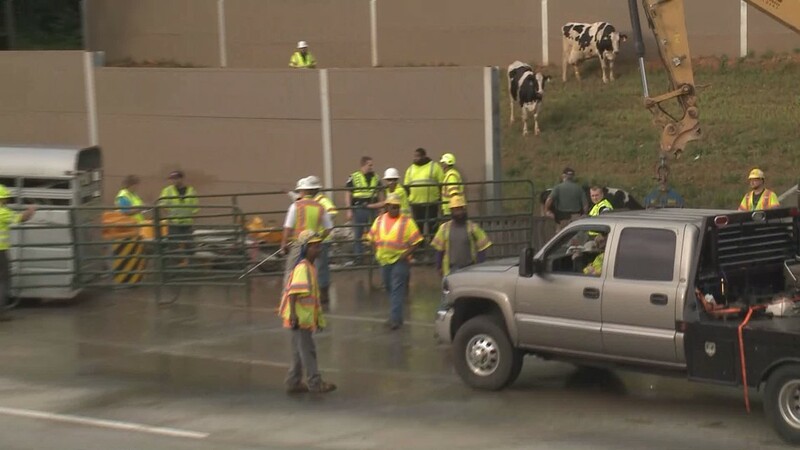 "No, there's cows: C-O-W-S on the interstate," she said. 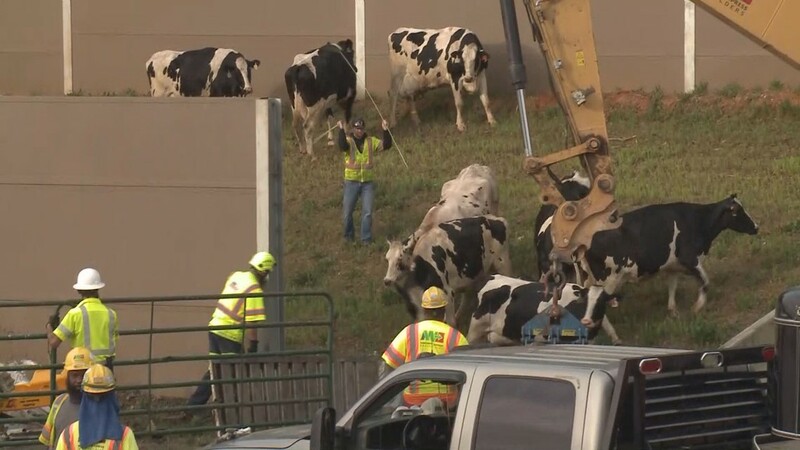 "There's cows? Like the animals?" a bewildered operator said. 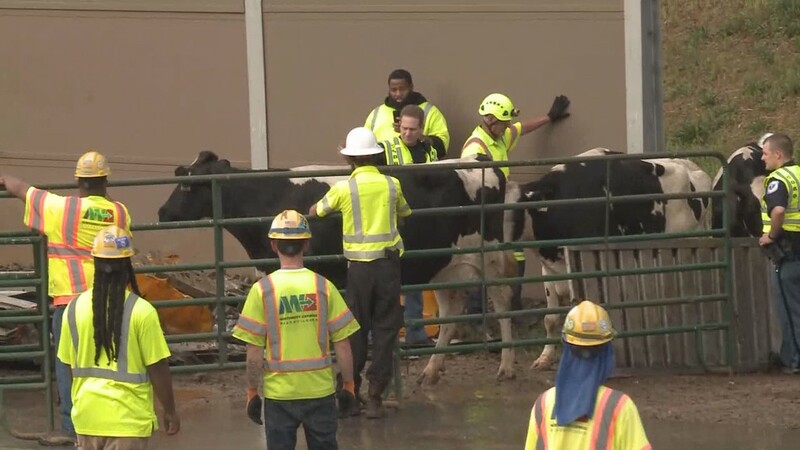 "Yes, yes the animals. 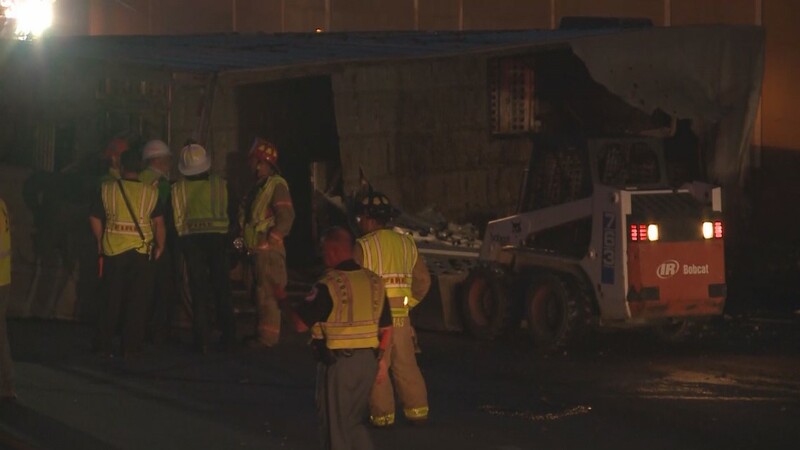 It just happened - I just passed it," the driver said once again. Even more calls would soon come in reaffirming this bizarre statement. 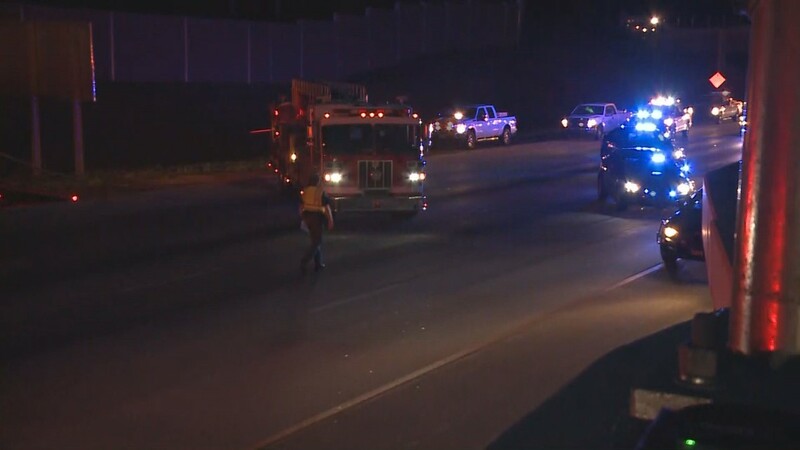 Crews then worked for hours to wrangle the wayward heard that was still wandering around the highway. 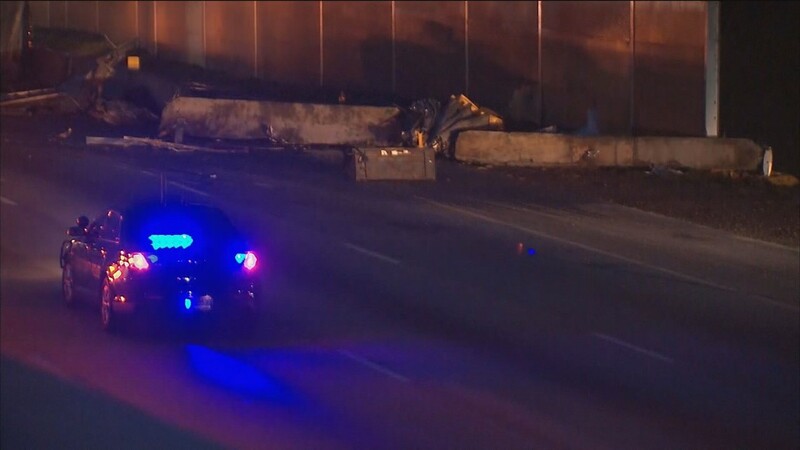 Traffic cameras showed that all lanes were still shut down as of 7 a.m. but were clear once more as of about 10 a.m. At least one guard rail was also severely damaged. 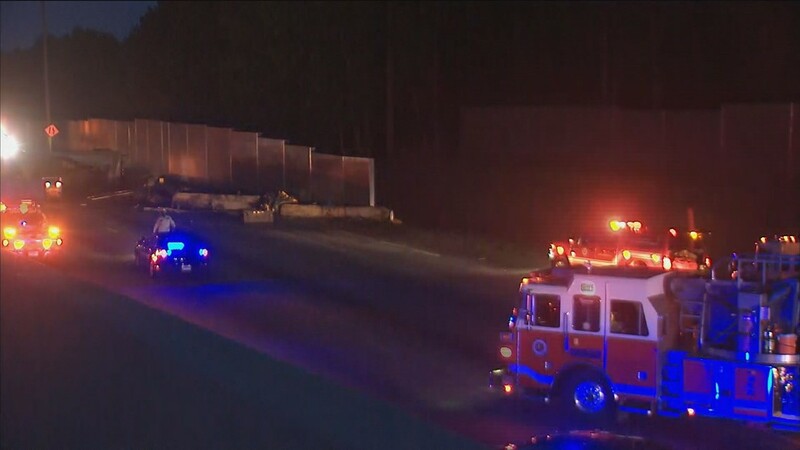 According to Cobb County police spokesperson Wayne Delk, about seven cows died and at least 11 were still roaming around the area according to crews at the wreck scene. 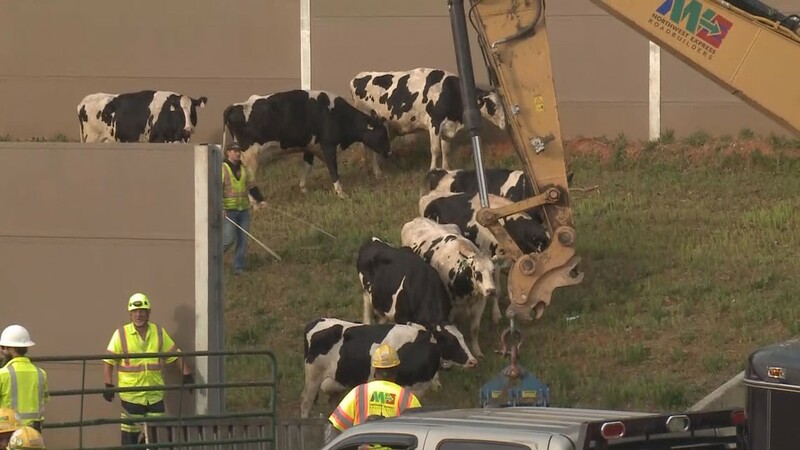 A GDOT spokesperson said that the U.S. Department of Agriculture was on the scene due to the cows' involvement in the crash.